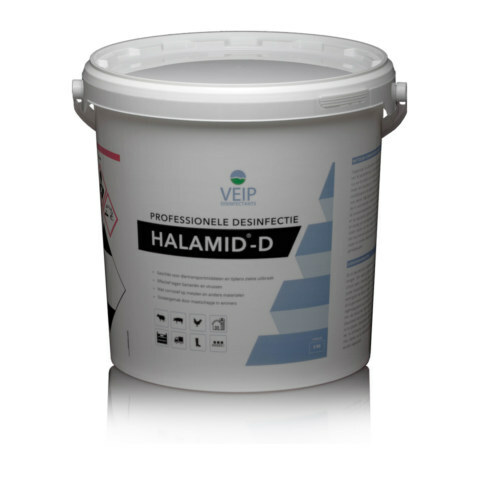 Halamid-d is a disinfectant that derives its efficacy to bound chlorine and oxygen. It is the best-known disinfectant in the animal sector, such as intensive farming, but also for hobby farmers. A very effective disinfectant to disinfect surfaces of means of transportation and in places for animals. Halamid-d is being used in the agricultural and veterinary sector for the disinfection of boots, walls, floors, cages, etc. The product has a high percentage of stable and active substance, and is safe to use. Halamid-d causes a chemical reaction (in fact, a combustion reaction) with microorganisms. Resistance is therefore not possible. The disinfectant eliminate bacteria, molds, yeasts and viruses. 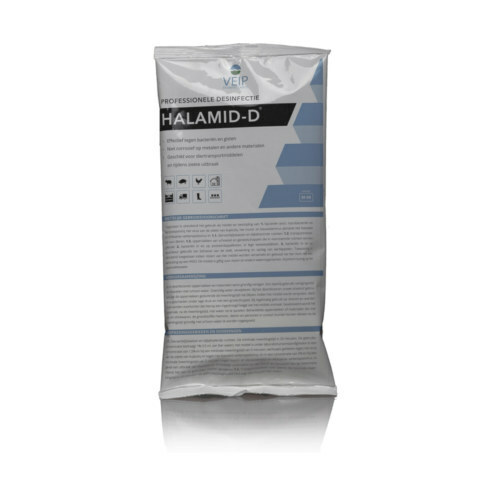 The strength of Halamid-d is the broad working spectrum and the mildness for the user, for materials and for the animals and the environment. 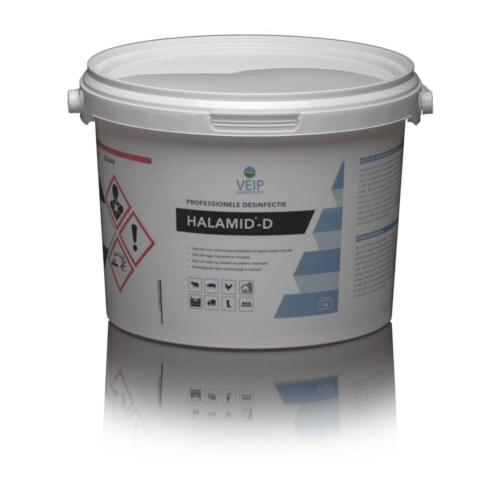 Halamid-d is packed in buckets and supplied including a scoop which dose easily and accurately. The disinfectant dissolves easily in water (maximum concentration of 10% at 15 ° C). The mild character of Halamid-d is therefore non-corrosive to metals and other materials. Use biocides safely. Before use, read the label and product information. Halamid-d and Halamid is, however, with a different authorization text the same substance. Available in 50gram, 1 kg, 5 kg and 10 kg packaging.